Guitarist vector image, free visual for your freebies stock footage collection. 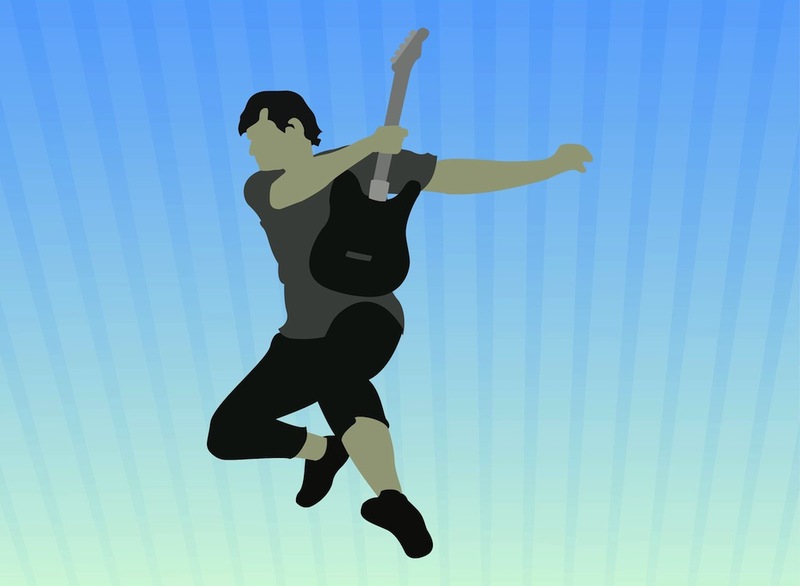 Musical vector footage of a guitar player jumping in the air. Stylized silhouette of a young man with short dark hair wearing sports clothes. Musician holding an electric guitar in his hand. Free vector graphics for music, musicians, rock stars, concerts, live performances, songs, clubs and hard music projects. Tags: Concert, Guitar, Guitarist, Jump, Music, Musical Instrument, Musician.